We do not curently have theatre tickets available for The Mentalists. This could be because we have simply sold out or it could be that this show is no longer running. The information on this page remains purely for historical and informational purposes. 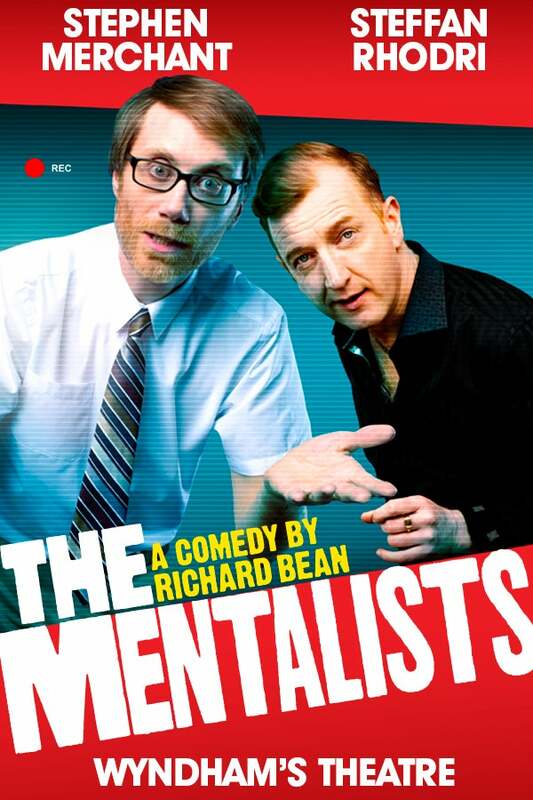 BAFTA and Golden Globe award-winning Stephen Merchant (The Office, Extras, Hello Ladies) stars with critically acclaimed actor Steffan Rhodri (Gavin & Stacey, Harry Potter, Posh) in this sharply written and darkly comic play from Richard Bean, writer of the smash hit, One Man, Two Guvnors. Ted (Stephen Merchant) has a master plan to revolutionise the world  and with help from his best friend Morrie (Steffan Rhodri) and his trusty video camera, it may just go global!